It has been stated many times that the Consumer Products and Goods (CPG) industry, and more specifically the Fast-Moving Consumer Good companies (FMCG) is vulnerable like never before. With online sales contributing almost 75% of the sectors 'additional dollars spent' growth in 2017 in the US when compared to brick-and-mortar sales according to Statista, the disruption and change cannot be understated. The question has shifted from WHY should we change and towards WHAT should we do about the disruption, and HOW should we prioritize all that needs to happen to broaden the defense and turn our company to the offense. One thought that we at Ashling Partners are passionate about is a focus on the fundamentals in process enablement. The building blocks of these fundamentals are process discovery and an automation strategy that is agile, holistic, and transparent. In fact, 43% of CPG executives are viewing automation as primarily a means to cut costs and increase efficiency according to Accenture. While that’s a start, we believe that thought is not holistic enough. Below, I will focus on the potential of specifically Robotic Process Automation (RPA) in CPG-specific examples beyond the traditional horizontal use cases in the back office (see bullet #5). It must also be stated that this is not the only way to address the challenges already mentioned, nor is RPA the silver bullet. There is always more than one route to end up at the same destination. But some routes are more direct and efficient, and some involve twists, turns, and detours that were not expected. Our opinion is that RPA is a great option for speed and deployment ease. Provide Data Integration Alternatives: RPA can drive efficiencies and cost savings when integrating a newly acquired company or 2 disparate systems. Robots are great at following business rules. Data integration is a time-consuming and expensive effort that can be hard to justify, and a pain to maintain. Looking externally from your own company, specific CPG processes like store-specific planning also involve very manual data interchanges. Robots are a great option to integrate data across multiple systems without the need for expensive integration or instance consolidation projects. Build Brand Loyalty with Automation: While this may not be as tangible as the other examples in this post, RPA can provide a scalable digital workforce as CPG companies expand their reach further into the Direct-to-Consumer market. The rise of Chatbots and Virtual agents should be viewed as a way to promote traditional customer service agents into problem solvers and key inputs to product & service improvements. If you have a key campaign launching, or you sell more cookies during Christmas, scale up your digital workforce to help with Level 1 complaints and inquiries. Scale them down during slow periods. Use them as you please- the ‘bots’ feelings won’t get hurt. Get More Out of Product Lifecycle Management (PLM): Expanding on building brand loyalty, a continuous feedback loop sparks product innovation. 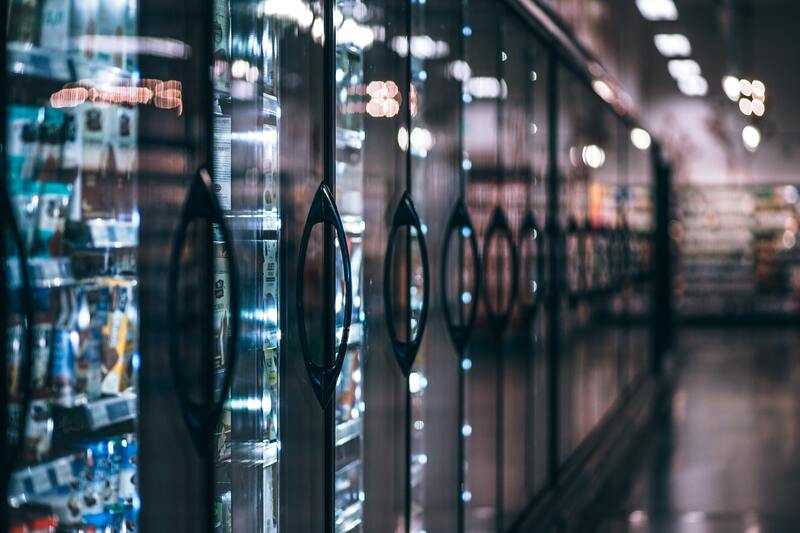 While there are PLM solutions available to control the funnel of product innovation, the critical missing input can be customer feedback as CPGs iterate their product features. This is ever-more important in an economy where personalization is the new battlefield, and traditional PLM pipelines has a lot of leakage. A robot can help with this interaction by following business rules to conduct outreach to more customers that may have bought your new razors. A robot can help engage and iterate so you can innovate. Drive Master Data Management: Keeping your data pristine is hard with a complex ecosystem of brick-and-mortar retailers, online retailers, distributors, and sales agents. There are certainly viable long-term solutions like Product Information Management (PIM), Digital Asset Management (DAM), Content Management Systems (CMS), and Master Data Management. However, anyone involved with these types of programs know the complexity, politics, time, and costs associated with the implementations and ongoing maintenance. And business does not stay still. A robot can help with keeping data domains in sync across systems. And they can be recycled as products, categories, and regional structures change. Improve Trade Promotions: Trade Promotion Management (TPM) is extremely challenging to master. CPGs spend roughly 14 percent of revenue to boost their revenue or increase market share (or both), according to an AMR Research study. And many TPM initiatives are not profitable and still highly manual even with the use of a TPM system. We have seen firsthand that spreadsheets still play an integral role in most TPM processes. There is a lack of integration among the participants of the process, and issues with timeliness and accuracy of the shared data. Robots can speed up this data exchange, pull in from multiple systems, files, spreadsheets, and communicate among the TPM partners- both internally and externally. Drive Efficiency in Horizontal Business Processes: With strong headwinds blowing in the face of topline revenue growth, bottom-line cost reduction programs have been on the rise. In some cases, a company may have to untangle over a century’s worth of manufacturing, operational, and sales & marketing platforms, processes, and people is a mind. While focusing on differentiation has never been more important, these core and stable processes are still running the business. And every company has these processes. Enter your robot workforce. Robots can significantly lower the cost and processing times of horizontal processes like procure-to-pay, order-to-cash, and supply chain/S&OP & inventory management.